Over the past month, NPQ has been following the situation at the Wounded Warrior Project. In January, reports began to surface in the press about the organization’s spending and other leadership behaviors. The board soon commissioned a study of the organization’s policies and finances, eventually firing both CEO Steve Nardizzi and COO Al Giordano. There was little communication from Nardizzi or the board before the firing. Anthony Odierno, the board chair, has now presented himself as interim CEO and has mounted something of a defense about the details of the spending charges on, for instance, the O’Reilly Factor. Meanwhile, the founder of the organization, who says he was forced out a number of years ago, has presented to the media a relatively comprehensive 10-point program to restore donor trust in the organization. But today, NPQ did receive some kind of defense—not from the organization, but from the nonprofit Charity Defense Council (CDC), which distributed an 11-page “preliminary media advisory” defending the Wounded Warrior Project (WWP) and its terminated leadership from what CDC calls “material errors and omissions uncovered in media reporting” about WWP. The advisory specifically criticizes CBS’s and the New York Times’ reporting, which questioned WWP’s spending on fundraising and overhead costs as opposed to dedicating more of its budget to the wounded veterans for which the charity was formed. We should say that we are not addressing the points made in that missive here, but rather raising questions about the relationship between the two organizations that caused the Wounded Warrior Project to make a sizable grant to the Charity Defense Council in 2013–2014 when apparently no one else was doing the same. This was first reported by the New York Times in January, but as the situation has evolved it becomes an ever more important question. The advisory did contain a disclosure of significant support in 2014. 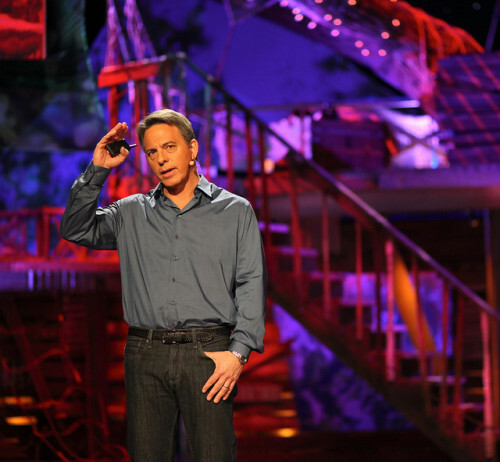 It’s no surprise that Dan Pallotta and CDC would feel a kinship with Wounded Warrior Project, because WWP’s fundraising model is precisely the model Pallotta and CDC promote, the theory being that it does not matter how much of the money you raise goes back into fundraising and overhead because the whole point is to grow a bigger footprint which will presumably lead to more and better services. Pallotta, of course is known for his TED talk and other advocacy of this model. But although many in the sector agree with his position of less emphasis on overhead, many do not agree with the idea that donors do not deserve to understand what nonprofits are doing with their money. Palotta, by the way, has his own history of being the focus of fundraising exposés at Pallotta TeamWorks, a for-profit events fundraising company that went under in 2001 after the nonprofits that it contracted with decided the proportion that business took of donations was too high. As we mentioned above, the relationship between Pallotta’s Charity Defense Council and the Wounded Warrior Project, especially its former CEO, Steve Nardizzi is more than simply a shared view of how nonprofits should fundraise and be held accountable. Note the large jump in revenues between 2013 and 2014, from $11,189 to $175,273. What happened? Based on the 2014 Form 990 return for the Wounded Warrior Project, WWP gave a $150,000 grant to the Charity Defense Council sometime between October 1st, 2013, and September 30th, 2014. The purpose of the grant, according to WWP’s Form 990, was to support CDC’s mission “[t]o change the way people think about changing the world by responding to and rectifying inaccurate reporting on charities and proactively educate the media.” The $150,000 grant was statistically insignificant to WWP—0.029 percent of its $342 million in 2014 revenues—but it was a transformative 85.58 percent of CDC’s $175,273 revenues in 2014. Coincidentally (or not), Nardizzi serves as a member of the CDC’s Advisory Board and currently is on the Advisory Board’s four-member steering committee. (NOTE: we know the page is current because it lists Nardizzi as WWP’s “former CEO.” Nardizzi left WWP earlier this month.) He also wrote a “Why I’m Marching” testimonial to CDC on its web site in September 2014. The 2015 Form 990s for both organizations are not yet available on GuideStar and likely won’t be for several months due to the Form 990 filing deadlines and the time required for the IRS to provide the forms to GuideStar. We are curious about how much money if any was given to CDC by WWP in 2015, and how much of WWP’s grant (using money donated for the well-being of vets) is now being used to support CDC’s defense of its benefactor.